Pure bliss – the sweet decadence of caramelized honey and a subtle kick of guajillo chili are wrapped in rich dark chocolate and finished with toasted pepitas. Minimum of 4. Mix and match flavors. Crafted with smooth caramel made from organic honey. 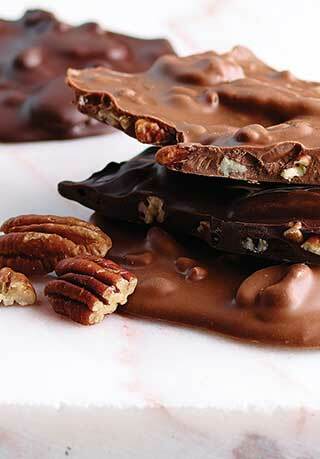 A soft kiss of mild Guajillo chili and salt add complexity and a pleasant tingle after the deep chocolate melts. A light crunch of toasted pepitas finish the decadent tasting experience. 3 oz., Dark Chocolate. Minimum of 4. Mix and match flavors. Delightfully spicy sweet with pumpkin seeds might be a new favorite! This is my favorite chocolate bar. Very nice balance of salty and sweet!! Had this chocolate when we visited our Son in California and loved it. We couldn't find it here in Tucson so we ordered it on line. We will be stocking up on it when we visit Cai again. Great with a glass of great red wine. Sweet with a Hint of Spice! 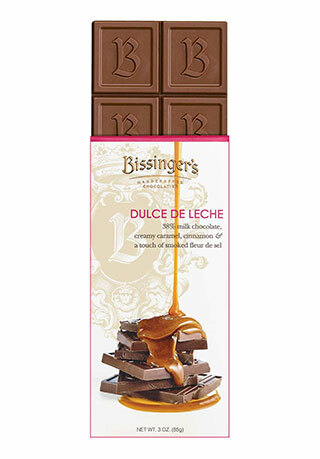 This bar embodies the artisanal confectionery skill present in all Bissinger's products. 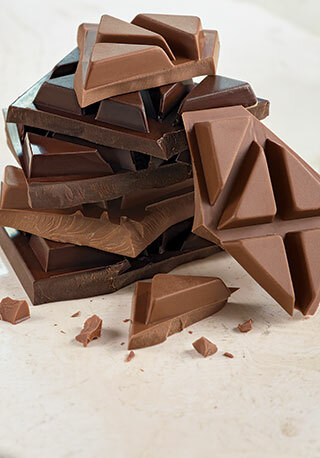 The smooth dark chocolate is met by the crunch of the pepitas to produce a balanced texture. Natural sweetness from the caramelized tropical blossom honey combines beautifully with the rich chocolate, and is enhanced by a whisper of spice provided by the Guajillo chili powder. 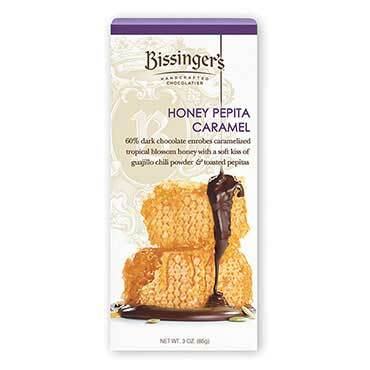 The elegant flavor combinations introduced here make this bar a must-try for chocolate and caramel lovers everywhere! INGREDIENTS: Dark Chocolate (Unsweetened Chocolate*, Sugar, Cocoa Butter*, Soy Lecithin (an emulsifier), Vanilla), Pumpkin Seed Kernels, Invert Sugar, Honey, Cream, Milk, Sugar, Rice Syrup, Butter,Salt, Guajillo Chili Pepper, Grapeseed Oil, Vanilla, Ghost Pepper Sea Salt. 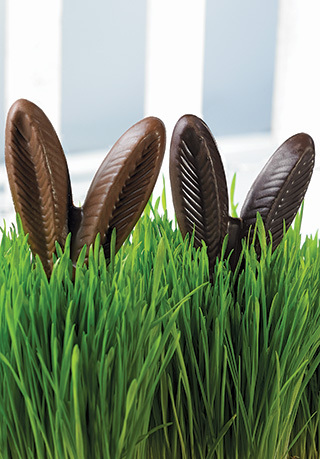 *Cocoa and Cocoa Butter from Rainforest Alliance Certified™ farms.